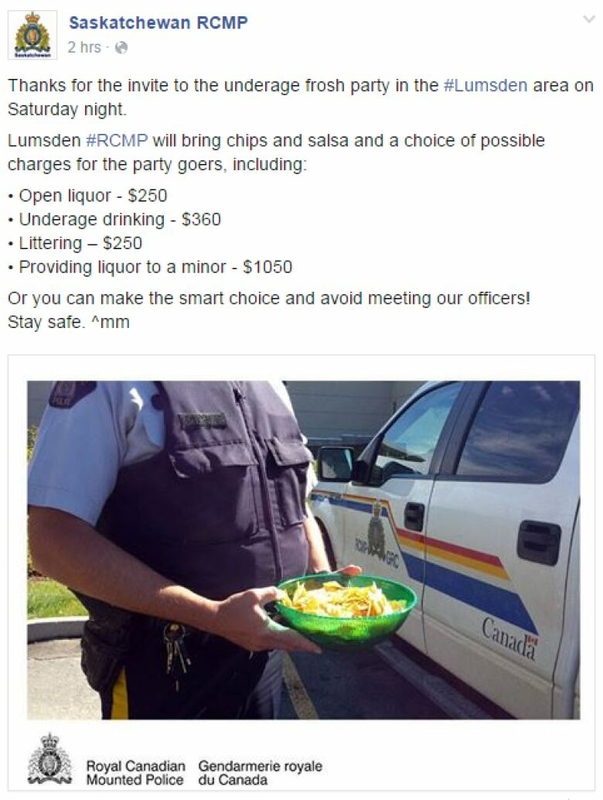 Invite RCMP officers to an underage frosh party and they'll RSVP right away. Saskatchewan RCMP posted to Facebook this afternoon a tongue-in-cheek message with a serious warning after being invited to a party near Lumsden. Like any courteous guest, the post said officers would be bringing something to the party. 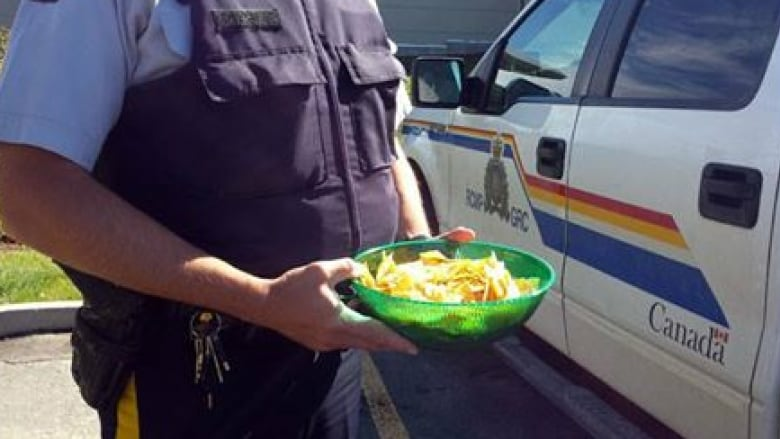 "Lumsden ‪#‎RCMP‬ will bring chips and salsa and a choice of possible charges for the party goers," the post read. View the full Facebook post. The post listed a variety of charges and the cost of the fine, including open liquor ($250), underage drinking ($360) and littering ($250). "Or you can make the smart choice and avoid meeting our officers! Stay safe," ended the post.